Blue Atlas cedars are evergreen trees that fall victim to a particular fungal disease that affects the aesthetic beauty of their blue-green foliage. For prevention of disease on your cedar, employ proper care requirements for vigorous trees ready to resist or fight off fungal pathogens. Familiarize yourself with Blue Atlas cedar disease symptoms and control methods for further protection of your tree. Plant Blue Atlas cedar trees in full sun to partial shade for best growth; avoid windy conditions that easily damage the tree. Grow cedars in slightly acid, well-drained loam soil, according to the University of Florida IFAS Extension. Tolerances include alkaline soil and clay soil with optimal drainage conditions. Since lateral branches grow horizontally, provide ample space for the tree's spread that reaches approximately 40 feet in width. Additionally, grow Blue Atlas cedars in USDA Hardiness Zones 6A to 8B. Needle blight is a disease of Blue Atlas cedar trees (Cedrus atlantica 'Glauca') caused by the fungi Sirococcus conigenus and Kabatina species, according to the Oregon State University Extension Service. Fungi invade through the base of needle growth on young shoots where they arrive through sporadic spreading from splashed water; extended moist conditions during the spring season provide an ideal environment for needle blight fungi, particularly when temperatures range from 60 to 70 degrees Fahrenheit. Look for discoloration during spring on needles and shoots. 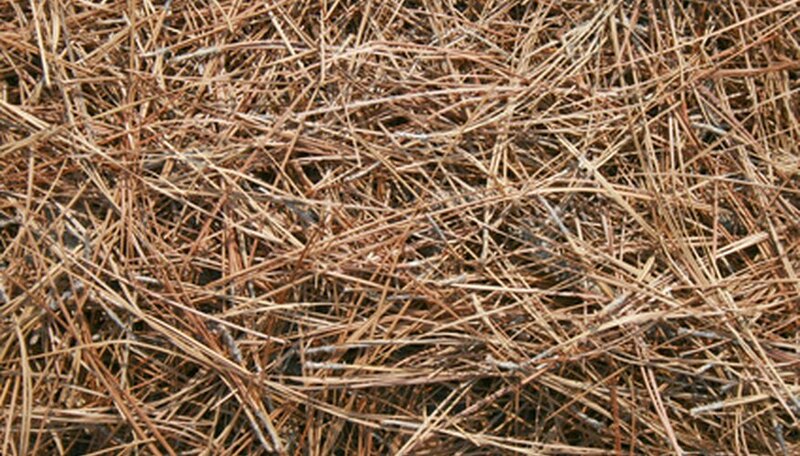 Needles often display a pinkish tan color and shoots experience blight where plant tissue dies. Tiny fungal growths referred to as fruiting bodies may appear at the sight of infection like the base of dead needles and along shoots, according to the Oregon State University Extension Service. Branches of the Blue Atlas cedar, however, do not display symptoms. Trees may suffer from defoliation and dieback. Ensure that your cedar tree's soil is well-drained as standing water or excessively wet sites provide an ideal environment for the proliferation of fungal growth. Always sanitize pruning tools between each cut and from one cedar tree to another plant to prevent localized and widespread disease transfer. For affected plants, remove and destroy infected plant parts from the tree as well as those that have fallen to the ground to inhibit the spread of infection, according to the Oregon State University Extension Service. While there are no particular official fungicides for treatment of Blue Atlas cedar disease, certain chemical controls have proven effective. Choose products containing the active ingredient of copper hydroxide, mancozeb or azoxystrobin, according to the Oregon State University Extension Service. These chemicals will not harm Blue Atlas cedar trees; apply at bud break for best results. What Is This Orange Stuff on the Evergreen Tree?